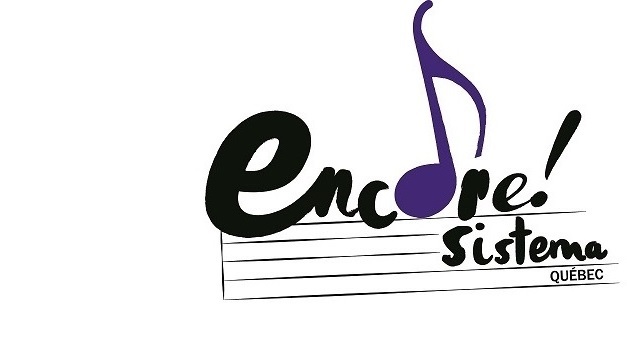 It is with great pride and enthusiasm that we announce the creation of Encore! Sistema Quebec/Programme musical Encore!Sistema Québec; Quebec’s first and only independent organization exclusively dedicated to delivering El Sistema – inspired programs to Quebec’s children and youth. Encore!Sistema’s design aims to meet social objectives and serves as a direct solution to problems such as bullying and violence. Through Encore!Sistema we aspire to support teachers, inspire administrators, engage parents and families, build communities, sustain partners and help students achieve their full potential. March 2019 — Encore!Sistema Quebec is proud to announce its upcoming collaboration with Maestro Boris Brott, Soprano Sharon Azrieli, and the McGill Chamber Orchestra in their presentation of Musique Francaise. The young string players, from ages 7-12, will perform on their own as well as with the McGill Chamber Orchestra, including a stirring “Habanera” from Carmen, with Sharon Azrieli. The concert takes place at the Oscar Peterson Concert Hall on March 31, 2019 at 7:30pm. This ticketed event is open to the public. Tickets are available online at orchestre.ca or by phone at 514-487-5190. The Parc-Ex site, under the direction of head teacher Michael Depasquale, begins work on real instruments, including violins and cellos for its new beginner students. In February, these students began their first classes on paper instruments, made and decorated by the students themselves. They used these paper instruments to learn basic positioning and technique in preparation for receiving their real violins and cellos. The students now begin work on the basic, fundamental techniques needed to begin performing music. Our board of directors, staff and team of tutors and teachers are passionate about music, children and education and are strong believers in the transformative effects produced when those elements are combined under the guidance of caring professionals. I would also like to take this opportunity to thank all our supporters, donors and sponsors for their tremendous dedication, trust and support. I invite you all to join me in this musical journey to witness the transformation and discover a world of hope and wonder through the achievements of our participating students. Please sign up to receive our newsletter, come to our concerts and follow us on Facebook. Looking forward to staying connected with all of you.